The Short Version: Divorce is one of the most stressful life events a person can experience. Between the litigators and mediators, separating couples could use someone who understands the divorce process and can guide them through the challenges that arise. Certified Divorce Coach (CDC), the brainchild of Randy Cooper, offers the only registered divorce coaching certification that’s registered with the federal government. CDC trains a select number of coaches each year to help couples make positive decisions and forge paths to new beginnings. Trainees finish the interactive course in 16 weeks and have access to mentorships and ongoing training resources including free webinars and articles. CDC also helps divorce coaches build and grow their businesses with insights and contacts. Randy Cooper specialized in financial planning for life transitions, but he noticed that one significant transition wasn’t taught at his Certified Financial Training school: divorce. So he sought a way to learn more and better serve his divorcing clients. “I went and got a certification in divorce financial analysis. Then I bumped into somebody who said, ‘You know, there’s also a certification for family mediation.’ I decided I might like that better, so I got certified by our state supreme court as a family mediator,” he said. But Randy still felt like something was missing in the divorce dispute resolution process. After taking some life coach training courses, a light bulb went on in his mind. Certified Divorce Coach offers comprehensive training and certification. “What was missing is a professional divorce coach,” he said. After he had that realization, Randy began researching divorce coaches and found that, despite people proclaiming they were coaches, there was no formal training to become one. Dissatisfied with what he discovered, he took matters into his own hands and created Certified Divorce Coach (CDC) — the only legal divorce coaching certification course in the country. 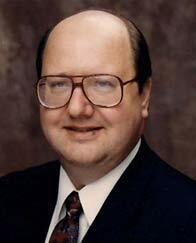 He fashioned his course after the American Bar Association’s dispute resolution processes. It also carries a certification mark that’s registered with the federal government, which differentiates it from all others in the coaching industry. Motivated professionals can become certified divorce coaches in 16 weeks. Randy also provided some insight into who seeks out CDC’s program. “Many people translate their experience of going through a divorce into becoming a divorce coach. In fact, 99% of our coaches have been through a divorce,” he said. Certified Divorce Coach was the brainchild of Randy Cooper. It’s also a natural transition for some professionals. According to Randy, 20% of CDC coaches are lawyers who are searching for a better dispute resolution process. Another 20% are therapists, psychologists, or mental health practitioners of some kind. CDC offers training three times per year with each training consisting of four classes with 12 students each. Each training includes 32 modules or webinars, each lasting a little over two hours. The modules and webinars are live and interactive. “It’s not lectures. We are practicing coaching, training, and there is some research. Trainees have a manual they read ahead of the class, and they take assessments,” Randy said. Students also work with a mentor for six weeks so they can learn the divorce coach framework outside of class. That part of the training is more experiential, he said. The course covers not only divorce coaching competencies and real-life scenarios but also gives participants hands-on training with the process. In addition to a client-focused education, a CDC course educates trainees on the business aspect of divorce coaching. CDC helps its coaches post-training through free webinars that provide more information on both helping clients and running a successful business. 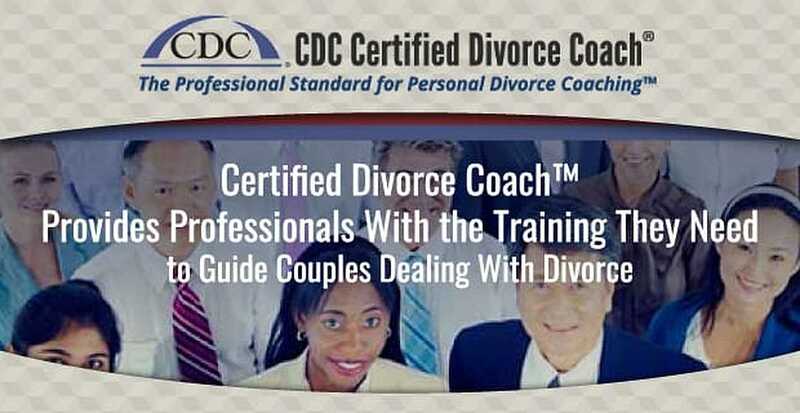 Each free webinar includes material from the CDC Divorce Coach Training Intensive Certification Program to help coaches meet their clients’ needs effectively. These materials are excellent for ongoing professional development. They allow coaches to refresh their understanding of concepts they’ve already seen while learning new strategies for client support and business growth. The webinar format is 45 minutes of live, interactive training online or via phone followed by 15 minutes of Q&A and information about the Divorce Coaching Intensive Program. 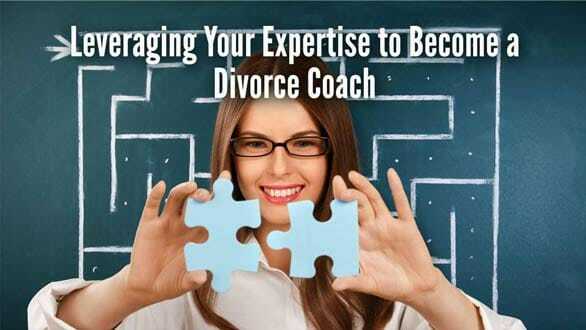 Professionals can use skills from other careers to become a divorce coach. In Getting More Visibility and Referrals for Divorce Coaching the Easy and Natural Way, participants learn how to garner referrals from other professionals and leverage their relationships to gain more clients with a low-stress, high-reward strategy. It also touches on the best ways to market their services. The free webinars are also an excellent way to introduce yourself to the field and find out if a career as a divorce coach interests you. In a webinar titled Leveraging Your Experience to Become a Divorce Coach, attendees can identify skills they already have that could make them ideal divorce coaches. Participants also learn how to support clients and how the business aspects work. The webinars can be informative primers on the world of divorce coaching. CDC helps new divorce coaches with a Divorce Coaching Tipssection on its website. This section is filled with useful information for coaches who are starting to counsel clients and planning the growth of their businesses. In the article “The ABC’s of Decision Making in Divorce,” the author covers some of the common emotions clients display during the divorce process. Some can negatively impact the process, and the article provides information on identifying these feelings and behaviors and empowering clients to stay on track and focused on the future. Other articles and content focus on the need for divorce coaches and how they can make the entire process easier for all parties. Many even touch on topics that dating coaches frequently find themselves discussing with clients, such as shared holidays, emotional responses, and how to help clients make better decisions regarding children, finances, and their future. Many CDC alumni are thrilled with both the training and the personal results they’ve experienced after receiving their certification. One coach, Petalyn Swart Albert, had been struggling to explain how she helped clients through divorce. But when she found CDC, she realized there was much more to being a divorce coach than just the coaching aspect. “Today I have the confidence and the education to know how to serve my clients in a plethora of ways. Just as important is knowing exactly who my target market is and where their pain truly is. My private practice is already growing, and I am confident that I can take this as far as I want to go. CDC made the difference between spending years of trial and error learning some potentially hard lessons on my own vs. being able to hit the ground running,” she said in an online testimonial. Randy is proud of creating CDC because, like others, he was a child of divorce who knew there had to be a better way. “I experienced divorce as a young teenager. I’ve always wanted to do something for families. CDC helps create a kinder, gentler process — especially when kids are involved. I’m satisfied with my life’s work, giving back, and improving something that’s a tough process,” he said.